In the latter half of the 19th century, not only Japan but also China and Korea were under the threat of the policy of expanding southward of Russia. The conflict against this threat, the communist cominterun, which had caused the Russian revolution, was even greater than that of Russian monarchical period. 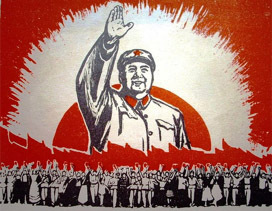 Also since 1929, China was influenced by Comintern, then Mao Zedong of the communist party rose up and the nation fell into a civil war of anarchy. Japan hoped that Korea would become modernized and independent as a nation in order to resist the Russian power of expanding southward. However, Korea in those days did not have a regular function as a nation, as it is clear in ‘Korea before the Japan’s annexation of Korea and the Japan’s policy. So Korea was a Tributary state, depending on China. If Korean peninsular had become part of Russia, there would have been a threat to a security of the nation of Japan. Because of this, Japan got into a First Sino-Japanese War in order to make Korea independent of China. As Japan won this First Sino-Japanese War, Liaodong Peninsula and Taiwan were supposed to be cession to Japan. However, China tried not to give them to Japan, by making allies with France, Germany, and Russia as Triple Intervention. As a result, Liaodong Peninsula was to remain as part of China. As a reward for that, Russia obtained then Lushunkou District as a concession territory which was located at the tip of Liaodong Peninsula, which brought a great benefit for Russia in order to gain a foothold in Korea. After that, Russia was persistent expanding southward. And Russia and Japan were trying to fight for Korea. For Russia, Korea Peninsula was just a part of a policy for expanding its empire. However, if Korea had become part of Russia, it would have been a matter of life or death for Japan. 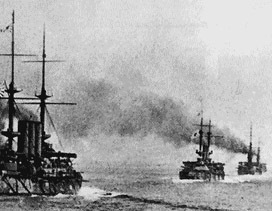 As a natural result, Russo-Japanese War broke out between Japan and Russia in 1904. Japan won that war and this was the first time in the world history when non-white races won the war with white races. It was an occasion for the historic change. in such a complex situation, many of Korean leader and people desire to annexation with Japan. but of course people have a several kind of idea, there was a force within Korea had not had a will to become modernized and independent and had desired to be connected with Russia. In order to protect Korea and Japan from that Russia's threat, Japan made annexation of Korea. It was not like colonization but as it was written in the article of ‘ Korea before Japan’s annexation of Korea and Japan’s policy’, Japan invested a tremendous amount of money such as national budget in order to modernize Korea. Japan helped bring about currency economy, school education, spread of Hangul, preparation of the transportation, development of industries etc. which had not existed in Korea in those days. This is how Japan laid a foundation of Korean industries of today. China’s last unified dynasty – Qing dynasty collapsed in 1912. But Puyi, China’s last emperor established Manchukuo-State of Manchuria in 1932, which had existed before in the north east part of China with the support of Japan. In those days in China, there was a civil war. So it was a matter of time whether Russia would expand southward to China. Under the protection of Japan, Manchuria prospered so much that not only lots of Manchurians but also lots of Chinese and Koreans immigrated there. Japan had a goal with a series of actions, which was Greater East Asia Co-Prosperity Sphere. Its aim was that all the people may live in peace without any racial discrimination and Asia may be free from Western colonization. In fact, in Paris Peace Conference in the League of Nations in 1919, it was Japan that proposed Racial Equality Proposal for the first time in the world. For those who had a negative idea about Japan, Greater East Asia Co-Prosperity Sphere seems to be only a slogan. However, as in the article of ‘Japan helped various Asian nations including Indonesia to become independent’, I hope you may understand and find out that Japanese people had endured the poverty and hardship during the war, because they had dreamed of such an ideal, instead of invasive ambition. As in the article of ‘the real cause of the Pacific War’, the United States, being manipulated by Soviet Union, did a campaign against Japan and for China. 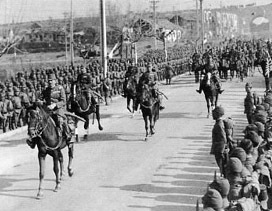 China, where Chiang Kar-shek was supported by the United States, caused Tungchow mutiny or Nikolayevsk incident, where they massacred thousands of Japanese civilians, in order to provoke Japan. 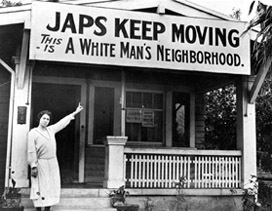 Because of this, the United States prohibited export to Japan, which was a measure to damage Japan greatly, and also sent Japanese residents in the U.S. to the concentration camps in order to irritate the national sentiment. Also the U. S. sent an ultimatum, telling them to leave Manchuria. Japan endured these provocation but since there were spies in top-ranking officials in the government and the military authorities, Japan ended up opening war. It is said that Japan attacked Peral harbor without declaration of war. However, it is known by the public that the official notification of the declaration of war was disturbed by the covert operation. In fact, an American warship attacked and sank a Japanese submarine before the attack on Pearl Harbor, you could say that it is the U.S. that attacked first. Radhabinod Pal, Judge of International Military Tribunal for the Far East: European countries and the United States must have a purpose to demonstrate their legitimacy of invasion to Asia. I cannot pass over without embarrassment that Japanese descendants have had a distorted guilty feeling and became snools and spent decadent life-styles. Sweep away those propagandas that give wrong impressions of Japan! This wrong history has to be rewritten. The Pacific War ended in August in 1945. Japan wanted to end the war at the beginning of that year. However, the U.S. planned to complete the making of atomic-bombs and make an experiment of those on human bodies, and use those atomic-bombs in order to restrain the Soviet Union for the new national order after war. Therefore, the U.S. controled the situations so that the war would not end.. It was obvious to know that once Japan fell, the nations such as Russia and other communist countries in the far east would gain the momentum at once. In spite of that, the U.S. stopped offering weapons and supplies to Chine (Chiang Kai-shek) (Kuomintang). They did it, even though they knew if they did it the Communist party led by Mao Zedong would get strengthened. In fact, People’s Republic of China was established because of that in 1949. 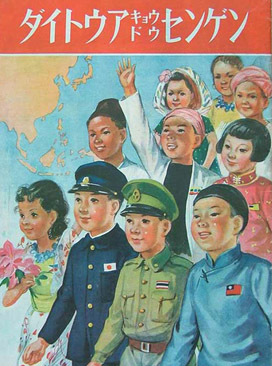 A huge communist nation was born in Asia because the U.S. was manipulated by spies of the Soviet Union. In fact, George Frost Kennan, American diplomat, who initiated a famous ‘Containment policy of the Soiet Union’ and also became a leading figure in the diplomacy of the Cold War after the war, pointed out in his lecture of ‘ 50 years of diplomacy of the U.S.’, that he criticized the diplomacy of the U.S. with the far east and also stated that the U.S. should have had an understanding towards the position of Japan.